Food is the heart of a party. Even if it’s a small get together, the quality of food that you serve can make or break the success of the party. Whether it’s the starters or main course, you need to pay special attention to every detail. One of the dishes without which your party is incomplete is grilled starters. 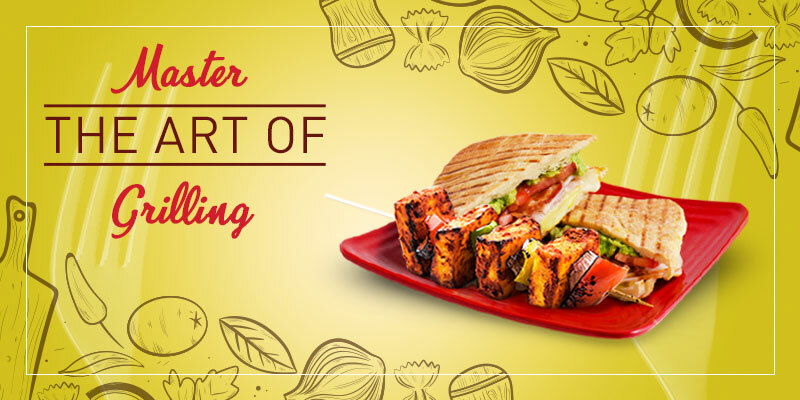 However, if you are planning to serve guests home-cooked food, it is important to master the art of grilling. So, in this blog, we discuss some of the best grilling tips and tricks to help you prepare the perfect grilled dishes for a party. Nothing is more annoying than a dirty griller filled with the sauces of the last dish that you prepared. The grease stuck on the sides of the grill alter the taste and texture of the grilled dishes. This is the reason why it is important to keep the griller clean. A clean griller easily transfers heat to the food items so that you get perfectly cooked, smoky dishes that will be loved by your guests. Make sure that you clean the grill when it is hot so that you don’t need to struggle with the cleaning process. This is another common mistake that most of the people make when making grilled dishes. If you don’t heat the grill properly, the food items will stick to the griller and spoil the entire dish. Start with grilling the items at a higher temperature and move them to the less hot side after some time. However, you also need to remember that when you add the food items, the griller starts cooling down as the heat is absorbed by the food. This is the reason why you need to start with a hot grill. To prepare perfectly grilled dishes, you need to plan it ahead to add extra flavour. If the food items are stored in the refrigerator, you need to thaw them to get the perfect texture. This is the reason why you need to take out the ingredients from the refrigerator at least 15-20 minutes before you start grilling. A myth about grilling food items is you shouldn’t move them around. However, it is advisable to change the position of the food items around the grill to avoid the risk of flare-ups and burning. If you are grilling high-fat items, flare-ups are quite common and you don’t need to worry about it. No one likes food that sticks to the griller. This is the reason why you need to grease the griller with butter or oil. Instead of using a towel dipped in some oil, spray oil on the griller. However, if you are grilling something that is already greased with oil, you don’t need to spray oil on the griller. Avoid using expensive oil to grease the griller. Those were some of the tips and tricks that you can use to prepare perfectly grilled dishes. 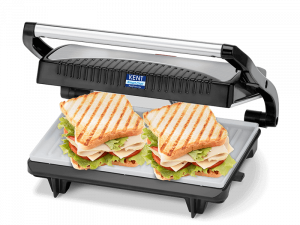 Instead of ordering something from restaurants, you can use KENT Sandwich Grill to prepare grilled dishes at home for a small get together. Visit our website to find out more about KENT Sandwich Grill.